A study published in Age and Ageing, the scientific journal of the British Geriatrics Society, claims that the number of older people diagnosed with four or more diseases will double between 2015 and 2035. A third of these people will be diagnosed with dementia, depression or a cognitive impairment. To read more you can click here. Have you ever wanted to know how assistive technologies can help people to live more safely and independently? Or are you a carer or family member to someone older or disabled, who could possibly benefit from a simple personal alarm or mobile SOS pendant? If so, join us at a Telecare information day in Old Windsor on the 25th May 2017. 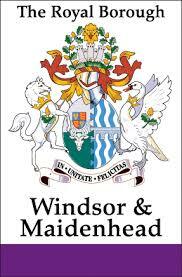 This public event is organised by The Royal Borough of Windsor and Maidenhead. Care Harmony Solutions will be there, providing reliable information and answering questions – promising to give you the best advice and solutions for your needs. To discuss how Telesson can seamlessly integrate into your organisation, please get in touch. Instead of greeting cards we have decided to provide a personal alarm system with free 24/7 monitoring/maintenance for a year to a carer/service user referred by our local charity Carers Bucks. We've always witnessed Carers Bucks championing telecare and making sure those vulnerable people who come in touch with them receive the most appropriate technologies and support. So a big thanks to them. Inspired by Sonia Congrave, a waitress at Tomassi's, on the high street, Southend-on-Sea we are providing pensioner Doreen Mann an elderly personal alarm free of charge for life. Noticing the unusual absence of her faithful customer, Sonia became concerned and alerted Essex Police, who dispatched officers to Doreen's house and rescued her after being stuck in her bath for four days. We hope our personal alarm with 24/7 care line will provide Doreen peace of mind as it will enable her to call for assistance at the touch a button now. Both Sonia and Doreen are thrilled about this arrangement. 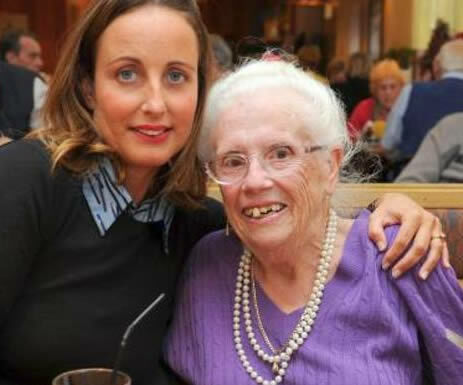 Sonia said: "I was delighted to take the call from Care Harmony Solutions offering Doreen a free for life personal alarm and Doreen is so thrilled as this will make such a dramatic difference to her life, knowing that she will have someone there to help if she needs it. For me, the peace of mind is truly wonderful as I can’t be there with her all the time. Thank you so much for this gesture, which is very much appreciated"
It has a range of 150 metres which is more than double the range of standard pendants and we know this can help a lot of our clients. It looks like an item of jewellery which can encourage many people to wear their pendants. From experience we know many people are reluctant to wear their pendant because, in their view, it reveals vulnerability. It is easy to clean and simple to use. It is very cheap for what it does. Find out more about the Cair pendant alarm here. We have teamed up with Carewatch in South Bucks and North Berkshire to offer a wide range of telecare and assistive technologies to those who can benefit from these systems. Carewatch (South Bucks & North Berkshire) is an award-nominated home care provider based in Beaconsfield, offering home care services to older and disabled people in the South Bucks and North Berkshire area. The Right Honourable David Lidington, Member of Parliament and Minister for Europe, has issued a press release congratulating Care Harmony Solutions for its success in Business in You Award Nomination. This is a proud moment for us and we will work even harder to keep our customers - disabled people, the elderly and their carers - happy and safe. Read the press release here. In December 2012, Trading Standards started to process and publish customer feedback on the members of the Buy With Confidence Scheme on their website. To see how our customers star-rate various aspects of our telecare service, please visit the Buy With Confidence website. We're pleased to announce that Care Harmony Solutions is among the shortlisted companies from Buckinghamshire, Hertfordshire and Bedfordshire for the Dragons Den Stage of the Local Business Accelerators Scheme. This scheme is headed by Deborah Meaden (TV Dragons Den investor) and the final companies chosen could win a huge national prize of free advertising, mentoring from Deborah Meaden and a £10,000 prize from the Business Growth Fund. This achievement has resulted from our solid commitment to provide a remarkable service, which is reflected in the high level of repeat referrals to our service from practitioners and family members who have used our service. In addition to our nationwide coverage through our Ready-to-Plug-in service (secured postal delivery) we are expanding our physical installation from our base in Buckinghamshire to other parts of the country. This will enable us to provide a person-centred service to our clients. Therefore, we're extending our physical installation service to cover Hertfordshire and Oxfordshire. We're also planning to launch an installation service in Ely, Cambridgeshire in the near future. New installation services cover all aspects of personal alarms and Telecare systems. Our experience shows that the key safe is an important aspect of a care package. Therefore, we'll keep providing and installing key safes as part of our core services. Note: There have been occasions where we've installed personal alarms, key safes and telecare systems in parts of London and areas that are not within our covered post code areas. These have been done at the request of social care teams, occupational therapists and families to facilitate an early discharge. So please do still call us if your area is not covered by our current installation service. We always go the extra mile to satisfy our clients. New telecare devices and systems enter the market regularly. It is fairly difficult for service users, carers, care workers and commissioners to keep up with the pace. The internet, though extremely helpful, can make matters worse. Consumers can be easily misled and providers can unknowingly or knowingly mislead clients. Having received many enquiries from carers about what type of alarms, for example, are most appropriate for their loved ones has given us the idea of developing a blog to share our views and insights in this area. Last week a family from Prestwood, Buckinghamshire approached us to check and replace an alarm, purchased on the internet, which was creating numerous problems for the alarm wearer (a 92 year old person) and the carers. So the first post on our blog is about the alarms answered by carers compared to those managed by a 24/7 care line. We appreciate if you also share your views, insight and experiences with us through commenting on the subjects or sending us your ideas which will be considered for publishing as a separate post.